As you’ve probably noticed, I’m using Google Adsense in my blog to make some money online. Google Adsense is one of the biggest (and probably easiest) alternatives to make money online when you have a website or a blog. Simple. As you’re starting to make a website or a blog, you’ll definitively want to make some money from it. This way you can at least make a few cents and pay the hosting or other expenses. Thus, Adsense is the alternative from Google which allows you to put contextual ads into your site depending on what you’re writing. The best thing is that Adsense is really easy to setup, and you just need to send your request with your website and wait until Google decides to enable your account. So, to achieve this, there’s a manual way to do it by modifying your posts php file, or you can add it manually on every post. 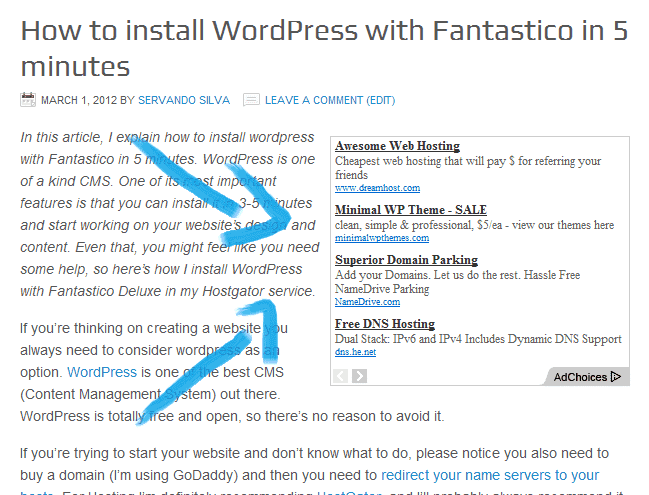 But I prefer doing it with a WordPress plugin, so let me show you how I do this. 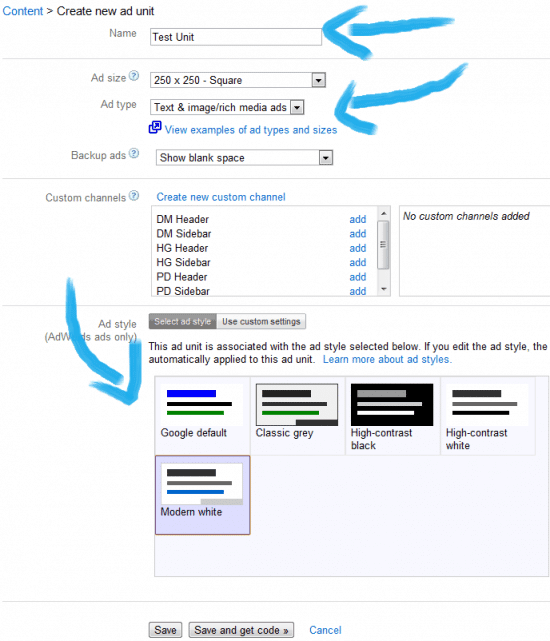 The second step is to customize your Ad depending on your website’s design. In my case, I selected a default style which already matches my website, but you can customize it if needed. Also make sure you select the name of the Ad and select if you want text, pictures or both things displayed in your banner. Don’t worry too much. You can change this later. Now the plugin I’m going to use today is called Quick Adsense. Quick Adsense allows you to put multiple banners in your page, no matter if they’re from Google Adsense or any other Ad program (including Affiliates). So download it, enable it and access to the configuration panel. 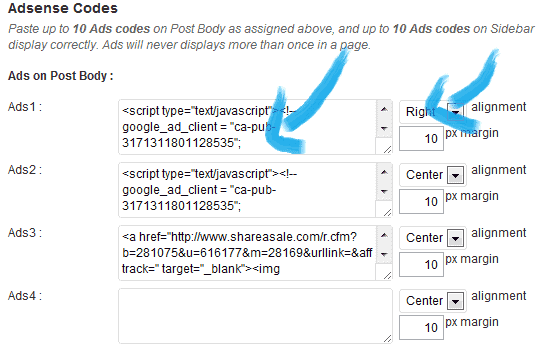 From this point, you’ll be able to select how many Ads you want to show and the position of it. For example, I’m using an Ad at the top of the content with right alignment, and a secondary ad centered at the middle of the content. And there you have it. After doing this, save the settings and open a post on your blog to see how it looks. If you’re not satisfied with the result, go back to the Quick Adsense panel settings and move everything until you feel it’s good enough (Remember not to be so intrusive with your readers). Eventually, You’ll find the best spots to place your Ads on your page, and get a higher Click Trough Rate (CTR). 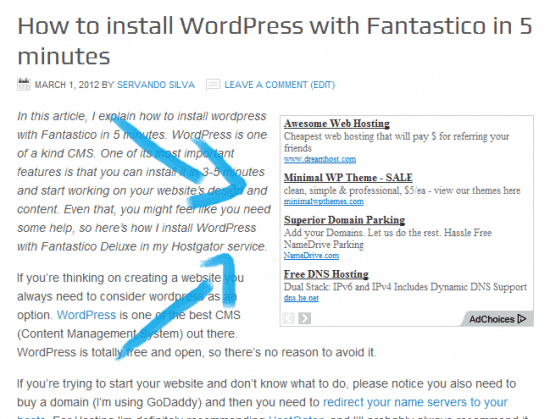 Have you ever used a plugin to add adsense code to your wordpress blog? If so, how did you do it? Where you using a simple text widget? Please share, tweet or pin if you find the article useful for your new website. Thanks! A debt of gratitude is in order for sharing these assets, particularly on Quick Adsense Plugin since it’s different to me. These assets are simply so natural to apply well ordered. I certainly will return to this rundown to experiment with. For WordPress.com you can’t use Adsense. You need your own self hosted site on WordPress.org. As for what he mentioned, it’s true. The plugin has been deprecated so better look for a new one. Adsense had their own official plugin but they just decided to discontinue it too. can someone pls answer this? In order to be able to place ads , as a very first step, I am supposed to sign up with AdSense (open an account) and then copy -paste HTML code to my website (after the header tags). The problem is that my wordpress website is done in PHP, these are the only files I can see and modify. Where do I go to find my HTML code to insert that HTML to get my website connected with AdSense? Hello Lulu. The answer is super easy actually. You can either use an Adsense plugin for WordPress or if your theme already supports it you’ll see a section or menu where you can add codes to the header or footer of your page. For blogspot it’s even easier considering Google owns it. When you get your account approved you can add a widget with adsense ads in your blogspot automatically. Thanks for sharing these resources especially on Quick Adsense Plugin since it’s new to me. These resources are just so easy to apply step by step. I definitely will come back to this list to try out. Good post very well written.. It will be very helpful to newbie bloggers.. Thanks for Sharing this info.. Thanks. I never heard of quick adsense before but i will try it now. I realized adsense is the easiest way to make money online because the only action on the part of the user to take is click ad. I put adsense codes at the top in the header or just below header, one in the content and another in the sidebar (I didn’t have there) all above the fold. This way I am earning through adsense. Besides I have 2 link (line like) adsense ads. Wait, you have a 35-40% CTR? That’s pretty crazy and dangerous for Adsense as far as I know. Most people struggle with 1-5%. How many months have you been payed like that? From May last year (2014) that is nearly 9 months. The user clicks I can’t control but if one user clicks more than once per visit Google invalidates more than one click. I don’t see any reason for trouble and rightly I didn’t face any trouble. Omg, I found your blog and got so many information about monetizing. Just wonder how you write these articles so details and easy understanding. Thank you very much.. i got newly adsense approved and dont know how to ad them to wordpress.. but you helped me.. thank you once again..
thanks for sharing your tips with us, i am looking for how to add Google adsense in WordPress blog and suddenly i found your website and finally able to put adds on my blog. thanks. I didn’t know there was a plug in to do that. cool! Would it be effective adding an Ad right below a banner or *map on a wordpress? An ad below a banner? Wouldn’t that be a double banner? You can download the languages so WordPress gets translated automatically. Which one you’re looking for? I came across your website and am very impressed with all your content,which is all I’ve been trying to find! I’ve read a lot on your site and just finished reading your guide. I had always thought I’d use google ad sense to monetize blogs, but In your guide, you had mentioned not to use google ad sense (or anything google). In this case, I’m wondering how do we monetize the sites that we build? You don’t want to leave traces or footprints for the big G.
Quick Adsense is a new one to me. But the one I am using also is great and superb. The pluging is WP Insert doing wonderfully well to insert Ads from multiple company at the same time and they will be showing at interval. 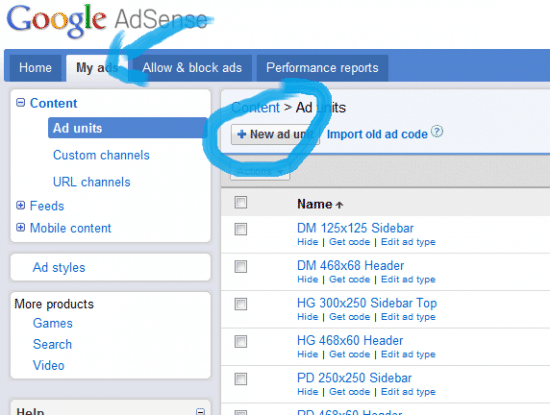 Quick Adsense is the one I personally use in my sites. Hi Servando Silva, Thx u For Information.. 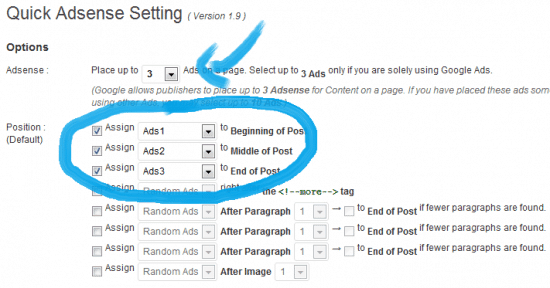 Thanks for nice and excellent article post about Google adsense for wordpress. I am new in wordpress. So this post very helpful for me. Thank you for the post, I was able to walk through your instructions effortlessly, get the plugin set up in 5 minutes, and have my ads showing in less than 10 minutes. Is your Adsense account approved or still on verification stage? Sometimes it takes several minutes to get the ads shown. but if they don’t appear after a few hours you should check your code again to see if something’s missing. Try adding your new blog into your URL channels in your Adsense dashboard or claim the site (adsense dashboard). pls google ads does not allow my country, pls what do i do? Which country is it? Have you checked my Google Adsense alternatives post? If google not allowing your country. Then try using Chitika or buysellAd. Even you can try applying for Media.net by Yahoo and Bing. Nice one. Thanks.. Still setting up my blog and needed this.